An important mineral for your health, magnesium can often be found in a variety of natural foods. 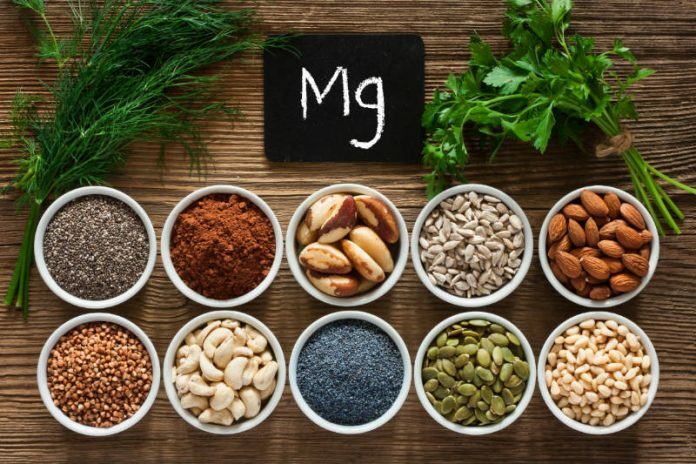 While magnesium deficiency isn’t common, most Americans don’t get enough magnesium in their diet, which can lead to poor functioning of vital organs. By maintaining a diet full of magnesium-rich foods, you can ensure your body is armed with plenty of this essential mineral. Many of the organs in the body need magnesium to properly function. Your heart, kidneys, muscles, bones, and teeth all rely on magnesium for optimum health and functioning. Magnesium is also integral to the maintenance of other minerals your body needs, including calcium, potassium, and zinc. According to the National Institutes of Health, the average male aged 19+ should consume 400 mg of magnesium per day, while the average woman aged 19+ should consume 310 mg of magnesium per day. Switching up your baked goods and bread to whole wheat can be a simple way to incorporate more magnesium into your diet. One cup of whole wheat flour has 160 mg of magnesium, so swap out the white flour for wheat next time you’re baking. We know how good leafy greens are for us and we’re always hearing about the multitude of health benefits they offer. Spinach, in particular, is a fantastic green to include in your diet as one cup of boiled spinach has 157 mg of magnesium. You’re probably familiar with quinoa (edible seeds from a plant) as it’s often used as a healthy alternative to other grains like rice. Well, not only is quinoa healthier than rice, but one cup of quinoa offers contains 118 mg of magnesium, a delicious and simple way to increase your magnesium intake. Nuts aren’t just a crunchy snack; they’re an easy way to up your magnesium levels. An ounce of cashews or almonds has about 75 to 80 mg of magnesium. Aside from offering a nice dose of protein, beans like black beans or edamame (soy beans) are natural sources of magnesium. For instance, one cup of black beans contains 60 mg of magnesium while half a cup of shelled and cooked edamame beans have 50 mg of magnesium. One of our favorite ways to incorporate magnesium into our diet is by eating peanut butter. Two tablespoons of peanut butter contain 49 mg of magnesium, and since peanut butter is so tasty, it’s really easy to consume this magnesium rich food on a daily basis. We recommend spreading some peanut butter on a slice of whole wheat toast for a pre or post-workout snack that’ll deliver a decent share of magnesium. How much magnesium should you consume per day? The National Institutes of Health recommends that male adults get at least 400 mg of magnesium per day, while female adults should get at least 310 mg of magnesium per day. It’s rare for toxicity to occur when magnesium is consumed through natural dietary sources, but if you are taking magnesium supplements, the National Institutes of Health recommend no more than 350 mg of supplemental magnesium taken per day. How much magnesium is in a banana? A banana typically has 27 grams of magnesium. Magnesium is vital to the functioning of many organs in the body and maintaining proper levels of other minerals like calcium, potassium, and zinc. While magnesium supplements exist and can be found at natural food stores and health shops, the easiest way to get magnesium is through natural dietary sources. Incorporate magnesium-rich foods into your diet for a safe and healthy way to increase your magnesium intake.